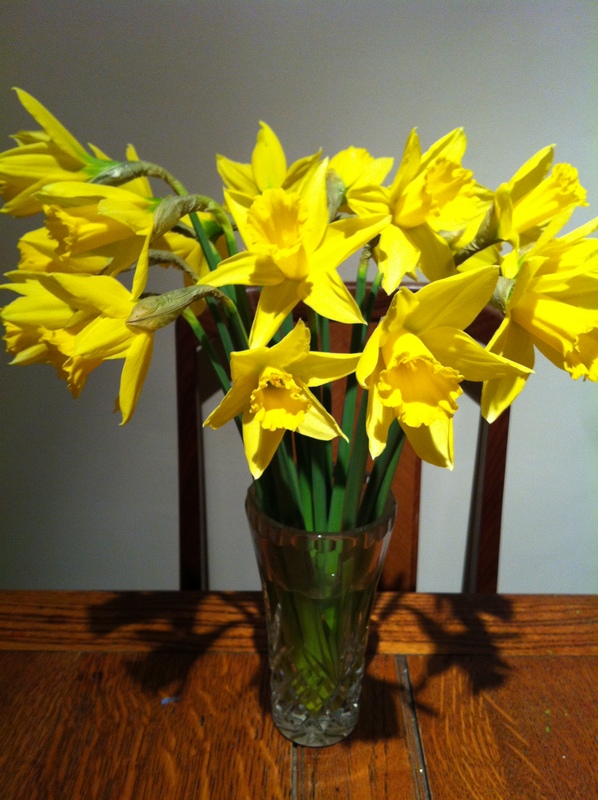 Children tend to love tales of their parents’ or grandparents’ lives & she remembers the tale I told her about asking for a bunch of daffodils for my birthday when I was a child. 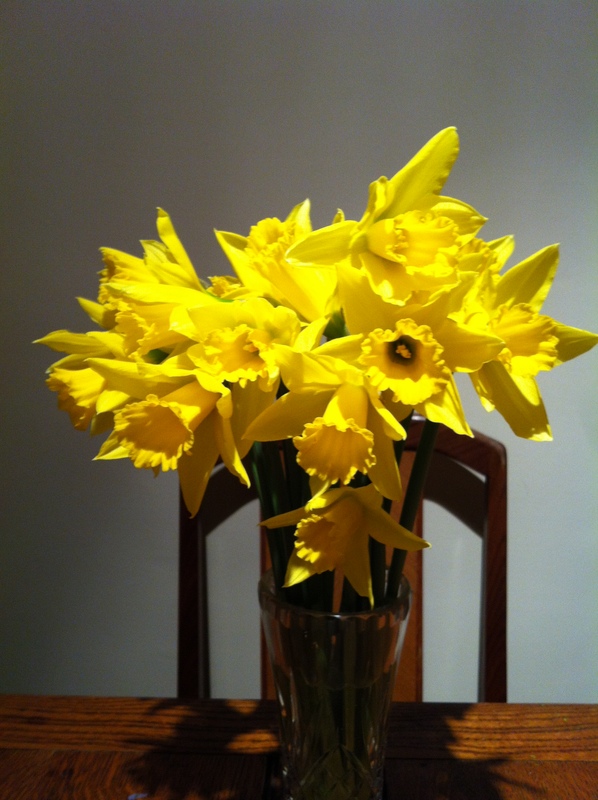 That’s all I wanted, daffodils. I don’t know how difficult there were to obtain all those years ago in January, but with a child’s innocence, I wouldn’t have considered that. Nowadays, due to importation from hotter climes & forced growth under glass, we can buy any kind of flower all year round. They are still a luxury to me & I really should buy more as a treat for myself. However, my husband considers all cut flowers as ‘dead’ because as soon as you cut them, they are dying 😦 So after years of not being bought flowers, nor feeling comfortable taking them home myself, it’s hard to remember to do so now. There’s a story about Sarah’s request for a birthday present too. One year when she was little, all she wanted was a pretend birthday cake & a lollipop! She got them of course.